This is new gel color, which gives an image of a grape. The pedicure seems normal but has some sophisticated look. The weather is autumn so purple tone gel color is used as the purple has the range of light to deep. On all such occasions there is a concept and feel that you have to match the mood and change pedicure. On the thumb toe new purple gel is applied with bling bling feel. The glitter gel color is not made up with different tone of purple color but with diversity of colors so it gives mysterious feel. This glitters is different from the glitters we had before. It’s shinier and much bigger in size. Also in summer gel nail glitter was a best item and lots of cool nail costumer were addicted to beauty to of glitters. The glitter has a feel of bling bling but has some thickness compare to normal gel color. If you apply glitters it need to apply in clear gel so it becomes thin as possible. Therefore if you do fancy art with some pats the thickness appears like normal gel color. Todays gel nail is hot issue in ‘Girls Generation’ whish it has same procedure so we try to make the best to not to feel the thickness. If you have small toe nails as I have said before if we applied a clear gel it feels heavy and gets thick so the new glitter gel color have no difference from other glitters. It’s enough to express the bling bling nails. The sizes of the glitters are big and bright so no need to have base color, as it’s pretty alone. If the glitter is small and goes without the base color it might feel that glitters are floating. For a hand is ok but for toenails it might look too light. If you want to emphasize the glitter and look pure use a soft base color. However the new glitter gel color is big and thick so this doesn’t give the feel of floating and makes a definite bling bling. Our Cool nail costumers draw keen attention so normally we discuss about which style of pedicures that you wanted to do with our artist. For this picture we have gave the right color that goes well for her skin since her skin is pale. Also the style is simple but point on her thumb toe. For summer she has done lots of deep French nails but it’s turning to autumn and winter so making it full color gives warmth. This newly stocked glitter gel color is really pretty! 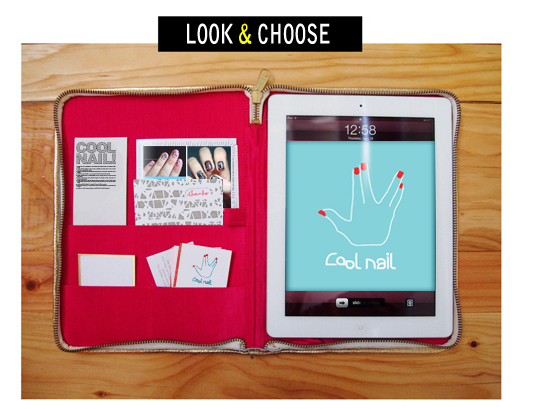 Visit our Cool Nail check out our new colors! Especially the newly added glitters…!